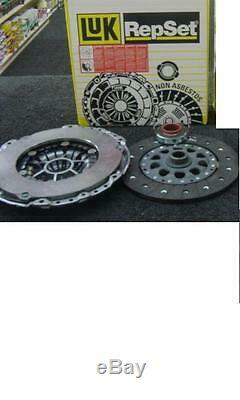 BRAND NEW LUK BRAND CLUTCH KIT. TO FIT THE FOLLOWING VEHICLE/S. HONDA CIVIC CRV FRV ACCORD 2.2 CDT 2006 ON. MANUFACTURED BY DIAKIN, QH, ASCO, COMLINE. WE CAN SUPPLY YOU WITH COIL SPRINGS, SHOCK ABSORBERS, WHEEL BEARINGS , RADIATORS, FILTERS, OTHER AUTOMOTIVE COMPONENTS FOR MOST CARS / VANS AND 4X4, S. ANY BRAKE PARTS YOU NEED WHICH INLCLUDE CALIPERS, EBC TURBO GROOVED DISCS , PADS, WHEEL CYLINDERS AND BRAKE SHOES. PLEASE NOTE - WE PROVIDE FITTING SERVICE WHILE YOU WAIT. FOR OUR LOCAL CUSTOMERS, WE PROVIDE FITTING SERVICE IN OUR FULLY EQUIPPED WORKSHOP. PLEASE ENQUIRE BEFORE PURCHASING TO AVOID DISSAPPOINTMENT. The item "HONDA CIVIC ACCORD FRV CRV 2.2i-CDTI CLUTCH COVER CLUTCH PLATE CLUTCH KIT 3PEIC" is in sale since Monday, March 17, 2014. This item is in the category "Vehicle Parts & Accessories\Car Parts\Other Car Parts". The seller is "ziggy-a2z" and is located in Dewsbury. This item can be shipped to all countries in Europe, Australia.